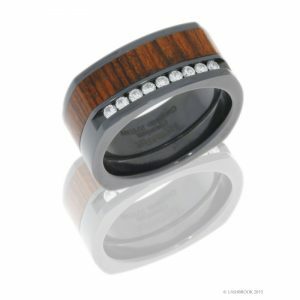 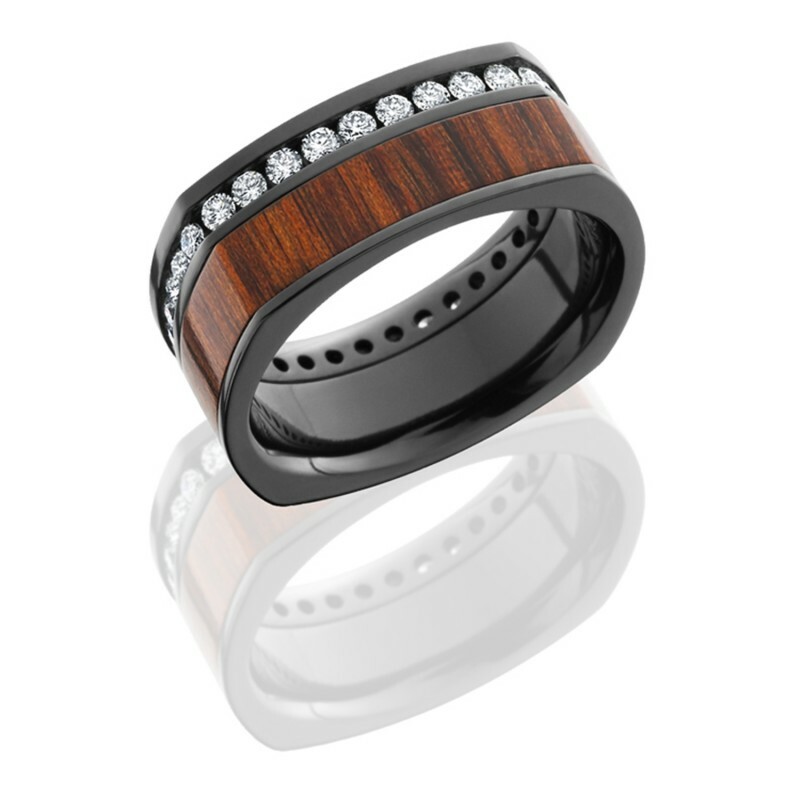 LashBrook black zirconium with off-center Mexican Cocobollo Wood inlay and channel diamond square profile comfort fit band. 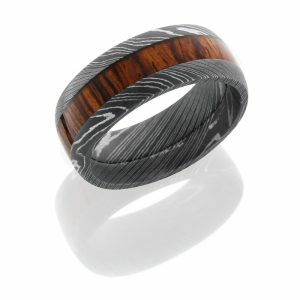 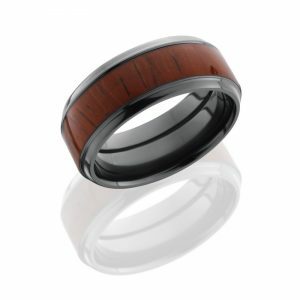 The ring is 9.5mm wide with an off-center Mexican Cocobollo Wood inlay (4.5mm wide) stripe, which runs the circumference of the ring. 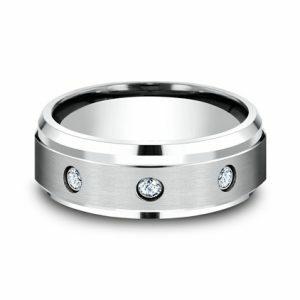 The round diamonds are eternity channel set along one side of the ring with a total weight of 1.08ct (0.03ct each), the diamond quality is G in color and SI1 in clarity. 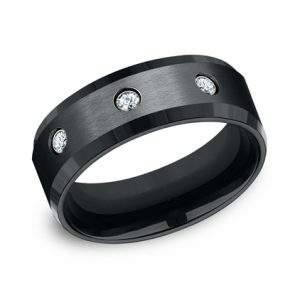 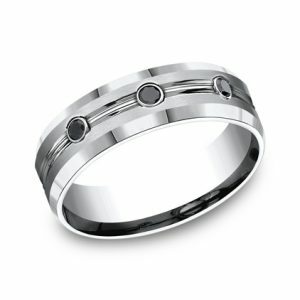 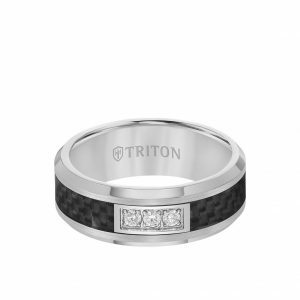 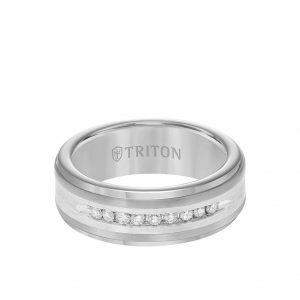 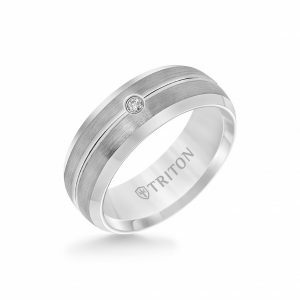 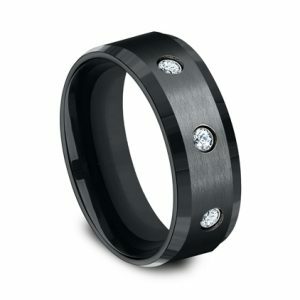 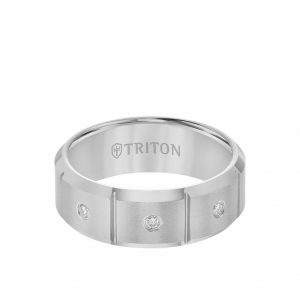 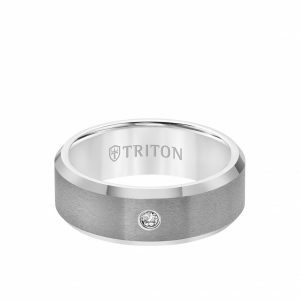 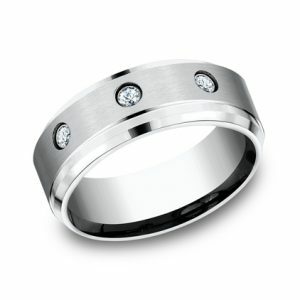 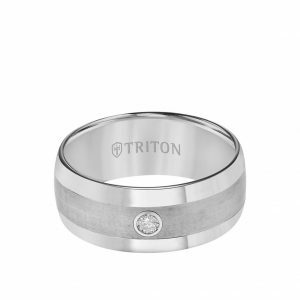 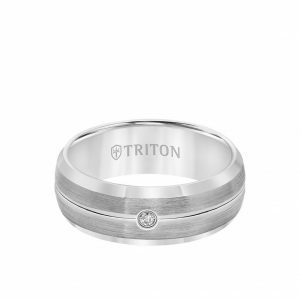 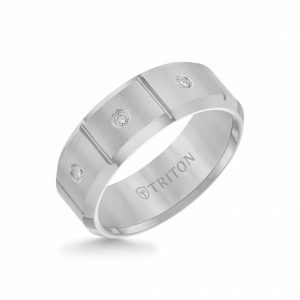 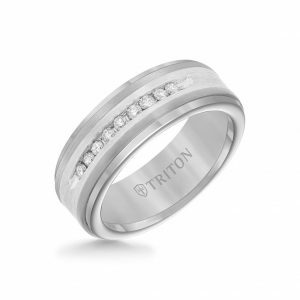 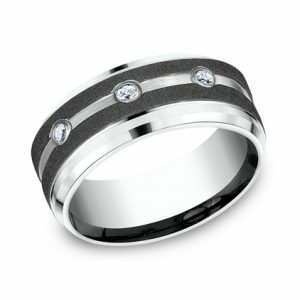 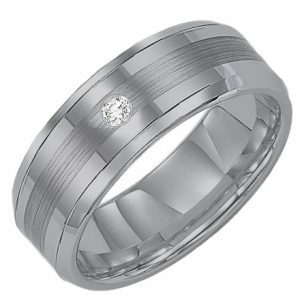 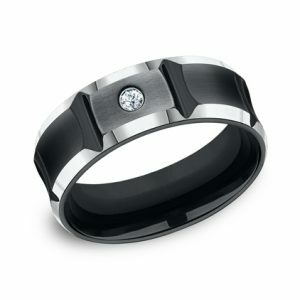 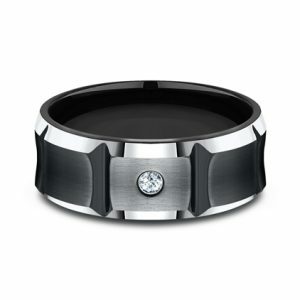 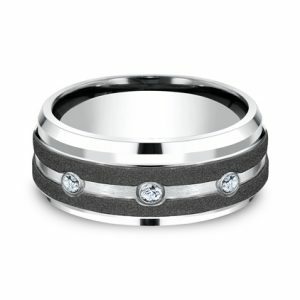 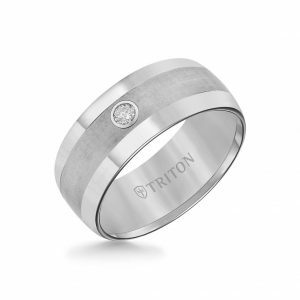 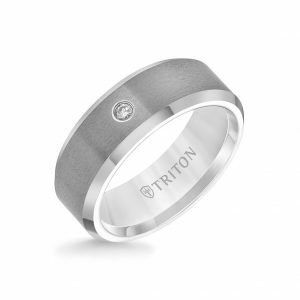 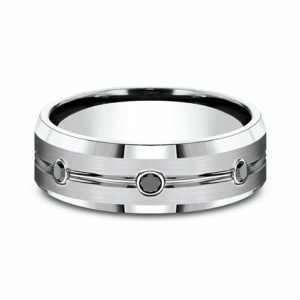 Also, the ring has a flat high polished edge and heavy comfort fit. 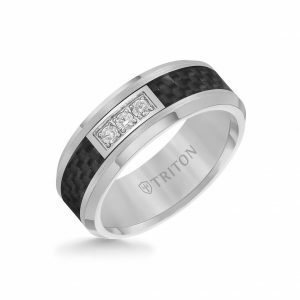 LashBrook Black Zirconium is created by a heat treatment process, this improves the scratch resistance and overall durability of the metal.